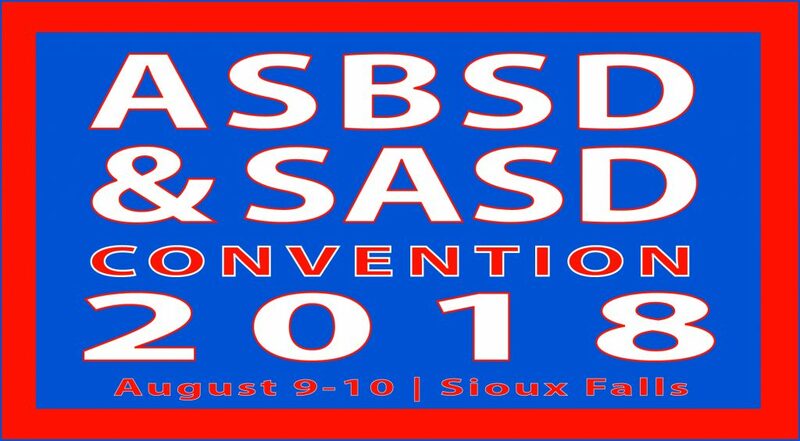 Click here to register for the 2018 ASBSD-SASD Convention. Districts registering 3 school board members will receive FREE registration for one administrator. Attending board members earn 20 ALL points for their board. Registration for the two-day conference is $185 per person for all registrations completed by July 13. Cost of Convention is $225 per person after July 13. For non-ASBSD and SASD members, the rate is $370 for registrations received by July 13 and $450 from July 14 up to and including the day of the event. Registration fees cover meals, all professional workshop fees, access to networking events and costs of all materials. A cancellation fee of $50 is charged if the registration is cancelled after July 13. Best Western Plus Ramkota Hotel – 605-336-0650.